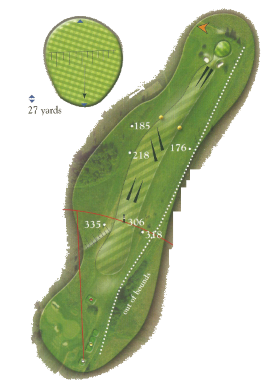 Play your tee shot at the marker post - long hitters can go slightly right of it to avoid running out of fairway. 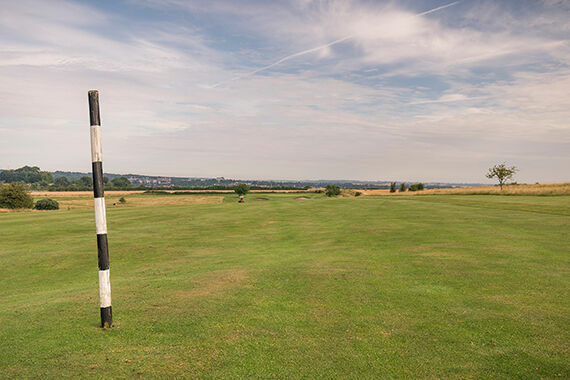 The second, if you are not going for the green, should be played just right of centre and this will leave a pitch to the raised green. 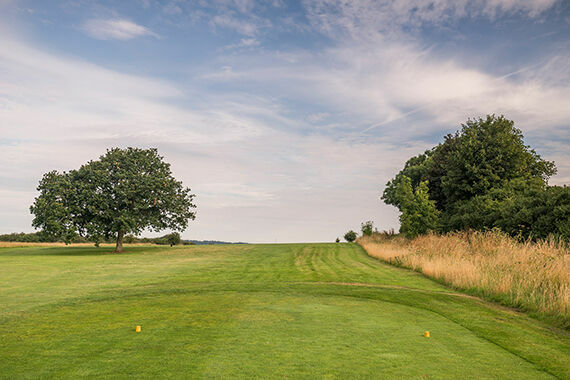 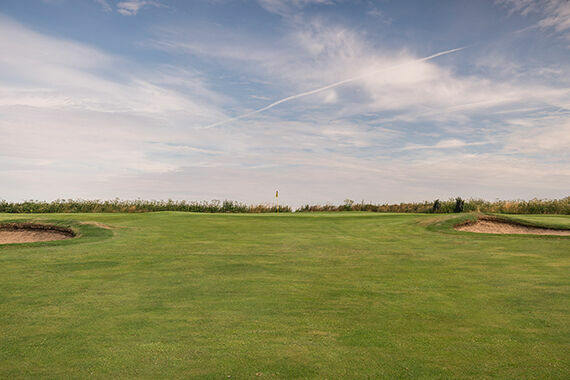 The green itself slopes from back to front with a tier in it - if the pin is on the back level you need to be there too for a chance of a birdie.